Welcome to passive microwave components section of the L3 Narda-MITEQ web site. 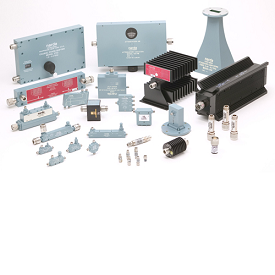 In this section you will find one of the industry's most complete line of high performance RF products including Adapters, Attenuators, Couplers, Circulators, DC Blocks, Power Dividers, Terminations, Waveguide Products and more. Note: This is an exclusive listing. Where otherwise noted in the catalog, the above environmental performance may not apply. Not applicable for those products designed for commercial applications. Many of our catalog off-the-shelf (COTS) products have the ability to withstand considerably more stringent environments. 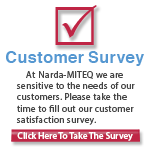 If you have special environmental requirements, please contact the Sales Department at L3 Narda-MITEQ.